A suspect has been arrested and charged with several crimes related to an incident involving a “Molotov Cocktail” that injured two store employees. At around 8:30 pm, Sunday, August 27, a person entered a liquor store in the 11700 block of Beltsville Drive in Beltsville with a container filled with an ignitable liquid and a lit product stuffed into the top of the container. The man is alleged to have thrown the destructive device inside the liquor store with flaming product striking two store employees and igniting combustibles on store shelves. The motive for this criminal act is currently part of the on-going investigation. The suspect left the store, however, was quickly detained by an alert Prince George’s County Police Officer on routine patrol in the shopping center that witnessed the subject fleeing the scene. Firefighters arrived and extinguished the fire and initiated treatment on the two adult males that sustained burn injuries. Both men were transported to a Burn Unit where one remains hospitalized with serious burn injuries. The second patient was treated and released. Personnel from the Fire/EMS Department Office of the Fire Marshal classified the fire as “incendiary” after conducting interviews, examination of evidence and a review of store security video. Fire loss is estimated at $2,000. Fire Investigators arrested Kevon Robert Edwards of Laurel, Maryland (DOB 11-23-1994). Edwards is charged with numerous crimes including; Attempted 1st degree murder, Attempted 2nd degree murder, Assault 1st degree, 2 counts of Assault 2nd degree, Arson 2nd degree, Reckless Endangerment and 4 counts of Destructive Device – manufacture/possess/distribute. Edwards is being held at the County Detention Center in Upper Marlboro without bond pending trial. This incident remains an open and on-going criminal investigation by the Office of the Fire Marshal-Prince George’s County Fire/EMS Department. An off duty Prince George’s County firefighter saw what he thought may have been a headlight illuminating off the side of Route 301 in Brandywine. The firefighter thought the light to be unusual and turned his car around to further investigate. His actions over the next several minutes resulted in saving the life of a 22-year-old female crash victim who had become entangled in her seat belt and was choking to death. The female recovered from her ordeal and has requested to meet her rescuer. She and her family will meet the firefighter as he is recognized by the Fire Chief for his actions. WHEN: Wednesday, August 30, 2017, at 1:00 p.m. The Prince George's County Fire/Emergency Medical Services (EMS) Department posted notices on 2 mid-rise condominium building as being "unsafe" this afternoon. The Lynnhill Condominiums, 3103 and 3107 Good Hope Avenue in Temple Hills, failed to comply with 14 of 23 fire code violations. There are about 36 units that remain occupied with about 100 residents that have been advised to vacate during Wednesday morning. We have compiled a list of questions that Lynnhill residents may have. Why did the Fire Department post the building unsafe to occupy? Recent inspections by the Fire Department revealed major fire code violations that threaten the immediate safety of all residents. Among other issues, the Fire Chief has determined that the trash in vacant units and the inoperable fire doors on apartment units and at stairwells are critical fire safety issues. Management was notified of these violations multiple times, and ordered to make corrections, but failed to do so in a timely manner. Why do I have only 24 hours to leave the building? Safety of the residents is the primary concern of the Fire Department and every day residents remain in a building in this condition increases the risk to residents and firefighters. While the Fire Department ordered emergency measures such as an hourly fire watch and the pre-positioning of a fire engine, these measures only slightly reduce the risk to residents and cannot continue indefinitely. Do I have to remove all of my furniture and other belongings in 24 hours? No. Please gather all your important papers, insurance cards, cash or checkbooks, passports, or other documents that you would not want to leave unattended. You may make arrangements for all of your clothing, furniture and other personal property at a later time. Who do I contact to schedule time to remove all of my furniture or other belongings? You may contact the onsite police officer or call 301-909-6065 to arrange time to enter the building. What if I do not have any other place to live or move? The Prince George’s County Department of Social Services, other County agencies, and the Red Cross will provide assistance to those needing temporary housing and other services. Currently, staff of the County’s Department of Social Services are working within the Office of Emergency Management vehicle which is on-site. Please walk in to begin the process of finding another place to live. You may also call the Lynnhill Residents Assistance Hotline at 301-909-6065 or email at Lynnhill.Residents@maryland.gov. If I own a unit, does the Fire Department’s posting mean I lose my ownership rights? No. The Fire Department’s posting does not mean that the County is exercising eminent domain or taking ownership of the building. You still own your unit. Once all the violations are corrected, the posting will be removed and access to the building restored. This fact, however, does not mean that other violations of the building, fire, or housing code have been corrected. Any additional violations may result in the building being declared unsafe or uninhabitable. How does the Fire Department posting relate to the issue of nonpayment to the utilities? The Fire Department issues are completely separate. The money owed to the utilities is a separate issue under the jurisdiction of the State Public Service Commission, which recently ruled that the utilities may terminate service after providing certain notice. If the utilities are terminated, all residents will again need to vacate the premises because the County will declare the buildings unfit for human habitation. The Prince George’s County Office of the Fire Marshall issued a correction order to the management company of two Temple Hills building on Thursday evening citing several significant fire code violations. On Friday, August 18, Fire Chief Ben Barksdale held a press conference outlining the plan to bring the buildings into fire code compliance by Tuesday, August 22. If management is not able to meet the mandate then the buildings will be declared “unsafe” and residents will have 24 hours to vacate. This action is being taken to ensure the safety of what residents remain in the building. This is the letter notifying the residents of the current situation as it pertains to the Fire/EMS Department. The notices were posted today. During the past several weeks, The Prince Georges County Fire/Emergency Medical Services (EMS) Department (PGFD) has been working with the property management of the Lynnhill Condominiums to correct significant fire code violations that could compromise the safety of residents. As a result, PGFD has notified the property management of Lynnhill Apartments that they have until 8:00 a.m. Tuesday, August 22, 2017, morning to correct major fire code violations identified throughout the facility. Furthermore, PGFD has made it clear that these violations must be corrected at that time, and if these violations are not corrected, the building will be deemed as an "Unsafe Building". Residents will have 24-hours to vacate the building following the posting of the Unsafe Building Notice. PGFD realizes the significant inconvenience this situation will have on residents, however, this action is being taken to ensure that the people are safe. If the building is deemed “unsafe” residents will be allowed to return to the building after it is closed to retrieve personal belongings to include furnishings during the following days. The Prince George’s County Police Department will remain on site to monitor the situation and ensure the security of the building until all residents have vacated the building. The Prince George's County Department of Social Services, other County agencies, and the Red Cross will provide assistance to those needing temporary housing and other services during this time. For information and assistance, please call the Lynnhill Residents Assistance Hotline at 301-909-6065, or you may email at Lynnhill.Residents@maryland.gov. The Prince George’s County Fire/Emergency Medical Services (EMS) Department will announce several fire code violations have been placed against the Lynnhill Condominium buildings in Temple Hills. Failure to comply with correcting these significant fire code violations within a prescribed time frame could result in further actions being taken. It is that time of year again - planning is well underway for the 2017 National Capital Region (NCR) 9/11 Memorial Stair Climb, hosted by the Prince George’s County Fire/Emergency Medical Services (EMS) Department. The event, to benefit the National Fallen Firefighters Foundation, will be held on Saturday, September 16, 2017, at the Gaylord National Resort and Conference Center at National Harbor. You can register NOW to participate in the stair climb or the 5k walk at http://events.firehero.org/pgcounty . It will only take a couple minutes to register. Make it a family event or form a department or station team! Last year we had over 600 participants. In addition to needing climb/walk registrants, we are in search of sponsors. If you are able to sponsor a floor, make a sponsorship commitment, or know of a company or person willing to do the same - see the attached sponsorship letter. I encourage everyone to register and consider becoming a sponsor - assistance finding sponsorships would be greatly appreciated. Any questions should be addressed to Assistant Fire Chief Krichbaum. Next week any person within Prince George’s County should be able to witness a partial solar eclipse, weather permitting. NASA’s website stated; “A solar eclipse is one of nature’s grandest spectacles.” There are parts of the country that will be able to witness a total eclipse of the sun; however, within the National Capital Region we will be able to see a partial eclipse. Regardless of where you choose to witness the solar eclipse we ask that you do so safely. The men and women of the Prince George’s County Fire and Emergency Medical Services Department; civilian, career and volunteer, want you to be able to view this “grand spectacle” and to do so safely. We offer these simple safety tips so you can continue to talk about this event for years to come. 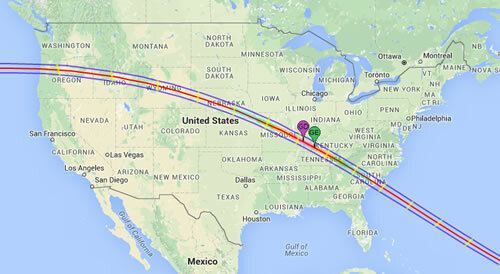 On Monday, August 21, the eclipse will occur between 1:00 pm until 4:00 pm. The ideal viewing time for Prince George’s County is between 2:35 pm until 2:50 pm with the maximum cover (81%) occurring at 2:42 pm. Protect your eyesight. You should never look directly into the sun at any time and this includes during the solar eclipse. Viewing without the appropriate protection could damage your eyesight for the rest of your life. The only safe way to look directly at the uneclipsed or partially eclipsed sun is through special-purpose solar filters, such as “eclipse glasses” or hand-held solar viewers. Do not park on the shoulder of roads to watch the eclipse. Utilize parking lots or open areas to stop your vehicle, turn your vehicle off and observe from a safe location. Drive defensively and be keenly aware of other motorists and pedestrians. Knowing the optimum viewing times - plan ahead. Distracted driving during the eclipse is just one area of high concern for public safety agencies. Pedestrians should stay clear of all roadways while observing the eclipse. Select an area void of any vehicular traffic and use extreme caution if walking or biking on or near roads. Distracted pedestrians and bicyclists are also a concern for all public safety agencies. For additional information including eclipse glasses and other safety tips visit NASA Eclipse Safety Tips. Sprinkler systems continue to save lives and limit the amount of damage to buildings in Prince George’s County, Maryland. Two incidents occurred today that exemplify the importance of sprinklers in business and homes. At around 1:30 am, Tuesday, August 1, firefighters from the Beltsville area were alerted to a fire inside of a large 2-story federal office building on Sunnyside Road. Firefighters arrived to find a fire that had been mostly extinguished by the sprinkler system. Firefighters completed the extinguishment and overhaul. The exact cause of the fire remains unknown with fire loss estimated at $5,000. Later in the morning, around 9:30 am, firefighters were alerted to a possible house fire in the 7200 block of Greenspring Lane in Lanham. Fire/EMS units arrived to find a 2-story single family home with a fire in one of the bedrooms. Prior to the fire department arrival the residential sprinkler system activated and doused the flames allowing occupants a safe egress. Upon arrival firefighters ensured the fire was out and completed overhaul. The fire appears accidental in nature and possibly caused by a candle. Fire loss is estimated at $1,000. The sprinklers doused the flames in both cases and prevented the fire growing larger and causing more damage. No injuries were reported in either case and firefighters remained on the scene for a matter of 30 minutes compared to a multi-hour incident. 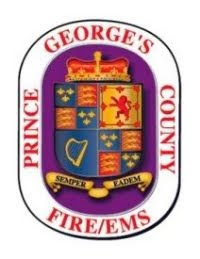 The Prince George’s County Fire/EMS Department had legislation passed in the early 1990’s mandating sprinkler installation in all new construction, including one and two family homes. The success of the first 15-years of our residential sprinkler success can be viewed by clicking here. An updated report covering the most recent 15-years is currently being compiled and will be released upon its completion. The new report will reflect there has been 1 fatality in a single-family home with a functioning sprinkler system in Prince George’s County. The fatality occurred, however, in a portion of the home not normally afforded the protection of a residential sprinkler system; the garage. In this incident the residential sprinklers did activate and protect a portion of the house, however, a heavy fire load prevented the sprinklers from completely extinguishing the blaze.